Manama: Bahrain, on Tuesday, announced a largely unchanged government, with most ministers keeping their portfolios and only one minister elected for the first time. The outgoing government resigned on Sunday following the recent parliamentary elections. Bahrainis voted on October 23 and October 30 to elect politicians for the 40-seat lower chamber, and the government resigned on October 31. The new government, which will be in power for the next four years, was formed by Prime Minister, Prince Khalifa Bin Salman Al Khalifa, at the request of King Hamad Bin Eisa Al Khalifa. In the limited reshuffle, only Isam Khalaf, the undersecretary for employment, made his debut as minister, replacing Fahmi Al Jowder, who was given the water and electricity portfolio. Mohammad Al Mutawa, a former information and cabinet minister, was appointed state minister. Al Mutawa, the culture advisor to Prince Khalifa was initially nominated to be the next Gulf Cooperation Council secretary general, but was replaced by Abdul Latif Al Zayani following strong objection from Qatar. Shaikh Khalid Bin Abdullah Al Khalifa, a former housing minister, was promoted to deputy prime minister, alongside Shaikh Mohammad Bin Mubarak Al Khalifa, Shaikh Ali Bin Khalifa Al Khalifa, and Jawwad Salem Al Arayyedh. The two female ministers, Fatima Al Beloushi and Shaikha Mai Bint Mohammad Al Khalifa, kept their respective social development and culture portfolios. The ministry of municipality affairs and agriculture has been re-named ministry of municipality affairs and urban planning, while the ministry of justice and Islamic affairs has become the ministry of justice, Islamic Affairs and Endowments. 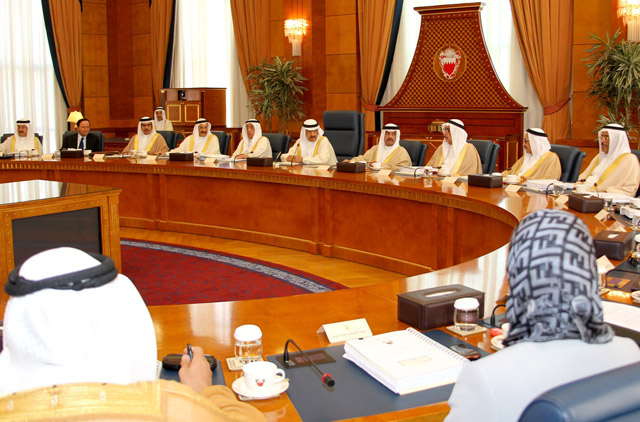 Following the elections and the formation of the new cabinet, all eyes will be on the Shura Council, the upper chamber of the parliament, whose 40 members are appointed by King Hamad. Speculation is rife over the names of the Shura, amid expectations that it will have 10 women, the same figure as in the 2006 – 2010 government.